Camilla has only just moved to the UK but was keen to start her cake decorating education by joining a cookie girl cake class. Her mother had a bakery back home in Argentina so she had grown up surrounded by cakes and biscuits. 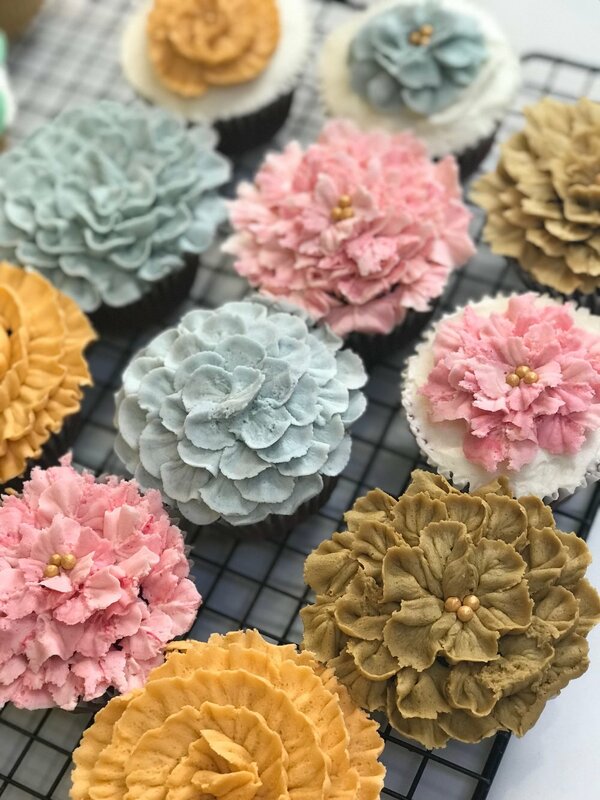 The buttercream flower cupcakes were the style that she most wanted to become accomplished at. As she was only in London for a short amount of time she decided to opt for a private lesson, full day cake making class. 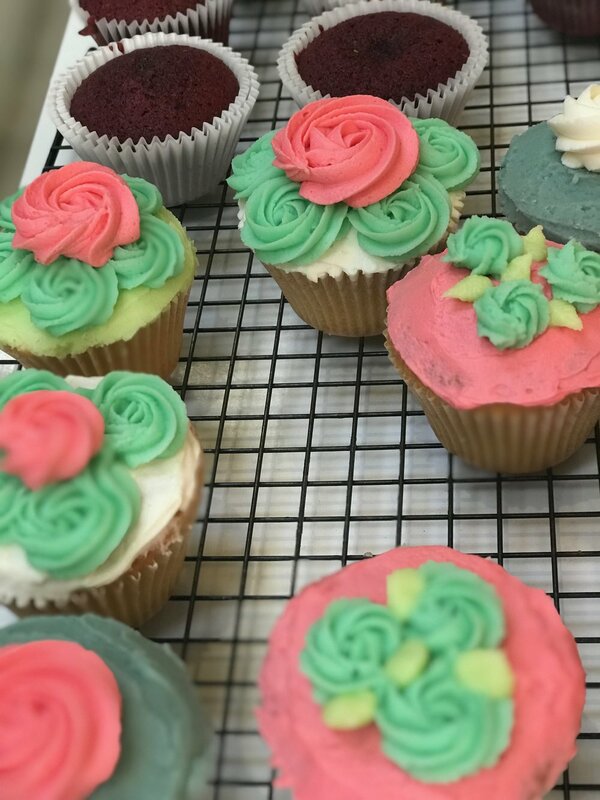 We spent the morning baking red velvet and vanilla cupcakes to give her plenty of cupcakes to practice her piping techniques on. In the afternoon we focused on cake decorating lessons. 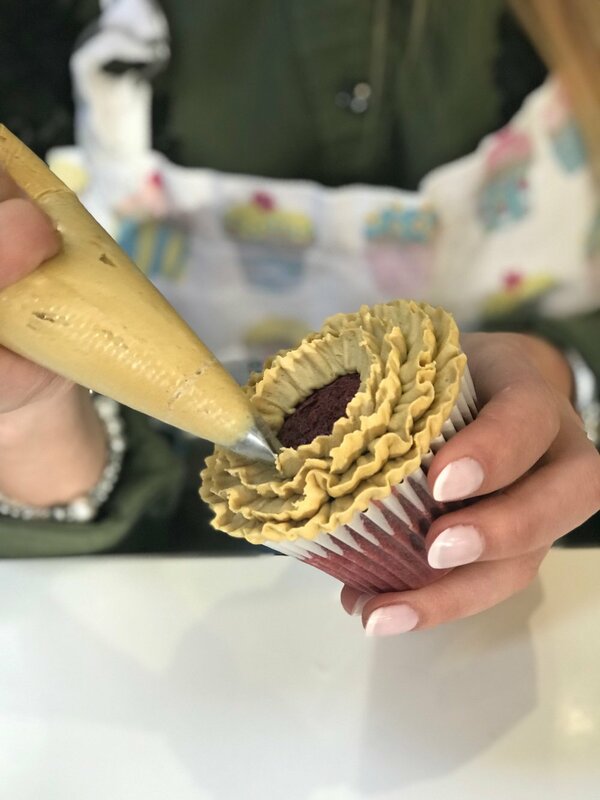 As she was new to piping buttercream we started with the basics. My main priority was to ensure that she was confident piping buttercream swirls so that she could quickly move from the beginners cake class to the intermediate level. 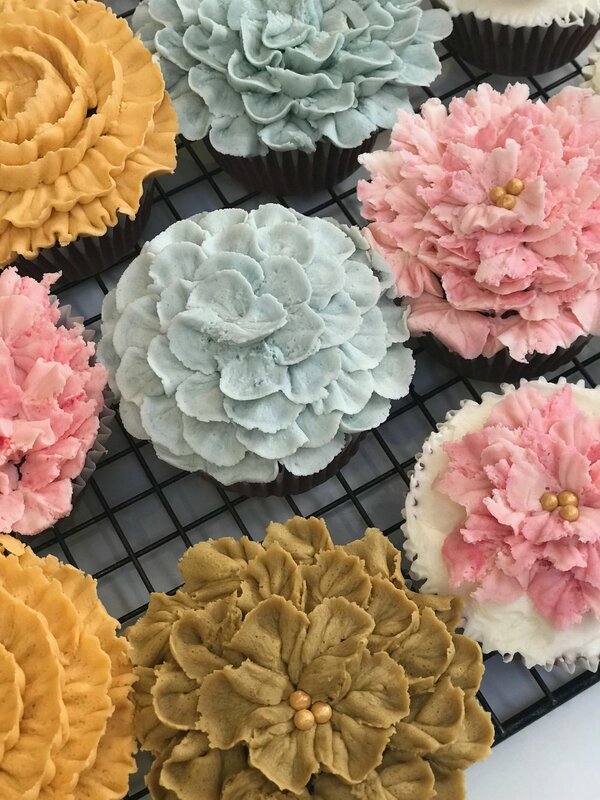 During the intermediate part of the class she learnt to pipe buttercream leaves without using a nozzle (it's all in the way you cut the bag) and to pipe mini buttercream roses and rosettes. In the last couple of hours of the class we moved onto the advanced level cupcake decorating. Although we had been working hard all day she kept her concentration levels high and achieved some fantastic results during the cake workshop. As you can see she was soon piping perfect carnations and stunning swirls. 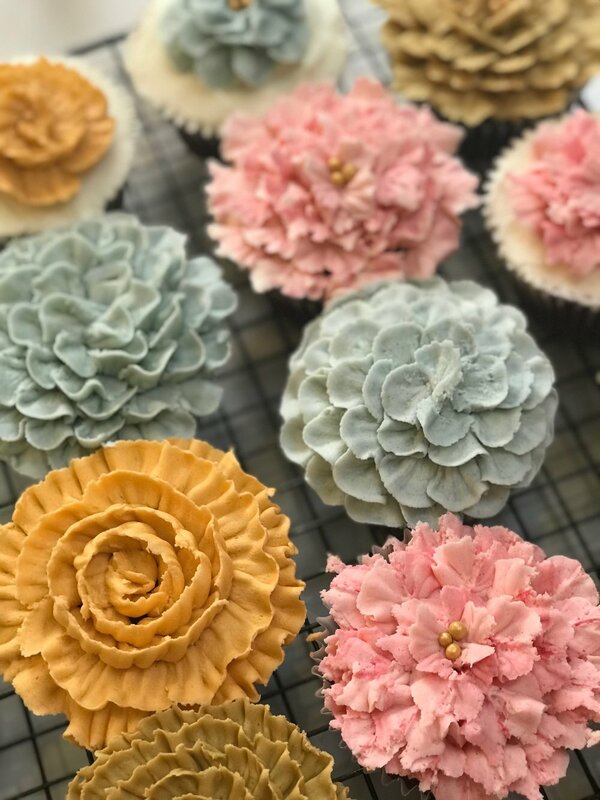 She was thrilled that during the 6hr class we had managed to work through all the levels to get to the advanced buttercream flower cakes she was aiming for.